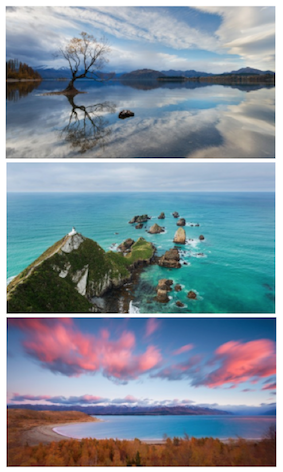 Discover The Secrets Of The Pros To Create The Most Amazing Landscape Images! 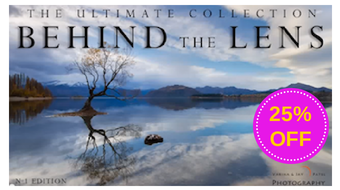 SnapnDeals brings you Jay & Varina’s The Ultimate Series: Behind the Lens Course for only $111.75. Get Behind the Lens with the Pros. Learn to bring out the Artist within you. Instant Access to all the downloadable video files. What are you waiting for? This SnapnDeal will be available for a limited time only! 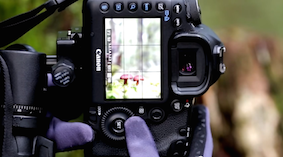 13 teaching videos – Creating Moody Shots, Photographing Sunrise, Dealing with Harsh Light, Managing Dynamic Range, Using Filters, Choosing the Right Lens… and more. More than 90 minutes of professional content – all of it shot right there in the field as we were working. Workshop-style lessons – taught right in the field. Improve your Photography: By the end of this course you will have the knowledge & skills to deal with most landscape photography situations and walk away with stunning images. Become more creative by learning what to look for in-the-field, and what to avoid. 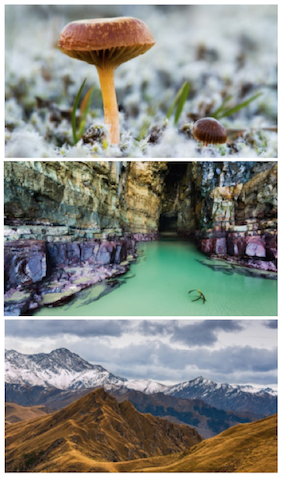 How to Make Your Images “POP” by creating a sense of depth and place. Save Money & Frustration: by getting great images even when the light is harsh (no need to fix later in photoshop). How to Maximize your chances of capturing a Brilliant Sunrise with a few simple tips. Discover how to create images that Emotionally Engage the Viewer with a variety of equipment and in-camera techniques. Jay & Varina take you behind-the-scenes and teach you how to decide which image will be your Next Best Portfolio Image. Landscape Photography Experts & Educators Jay & Varina met at a Cleveland Photographic Society meeting in 2005. Since then, they have written more than 19 eBooks to do with Landscape Photography, and are regularly featured on podcasts, webinars and speak at live events worldwide. Their photographs have been published in various magazines, calendars and advertising materials throughout the world. 1. Click the BUY NOW button – you will be redirected to Visual Wilderness page. 3. Enter the Coupon Code: btlc-snapndeal and click “Apply Coupon”. 4. Click “Proceed to Checkout” and voila! You’ll get your 25% discount!